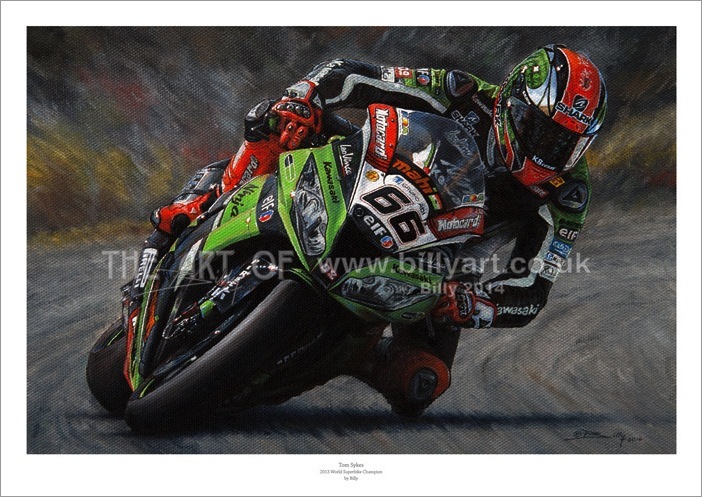 Tom Sykes 66 open edition giclée fine art print by Billy. 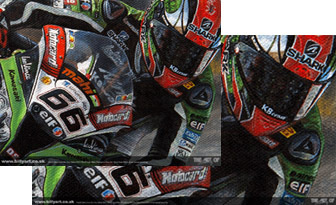 This is a brand new open edition fine art print of 'The Grinner' Tom Sykes riding the Works Kawasaki ZX-10R superbike to overall victory in the 2013 World Superbike Championship after a fantastic seasons racing. This open edition print of Tom is a giclée print on archival matte art paper using Ultrachrome K3 inks and each print is signed by Billy. 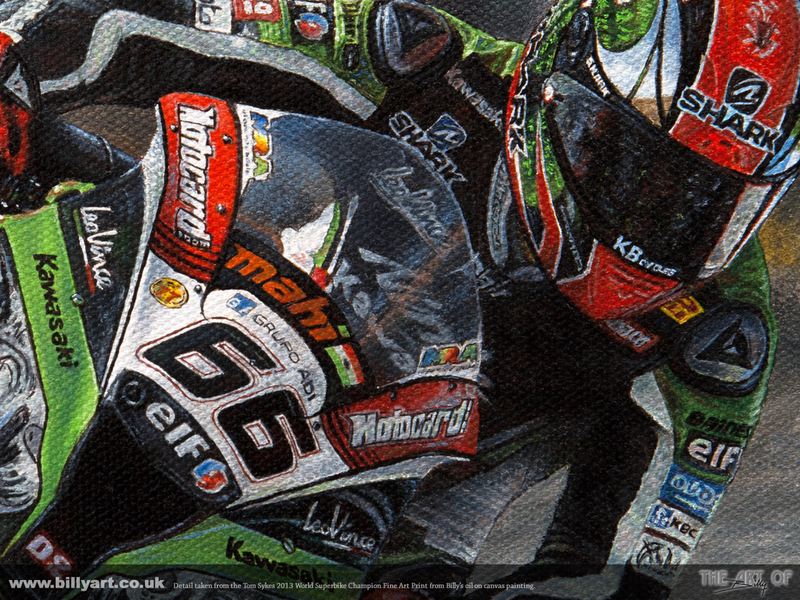 The fine art prints of WSB champion Tom Sykes are taken from Billy the artist's A4 oil on canvas painting. 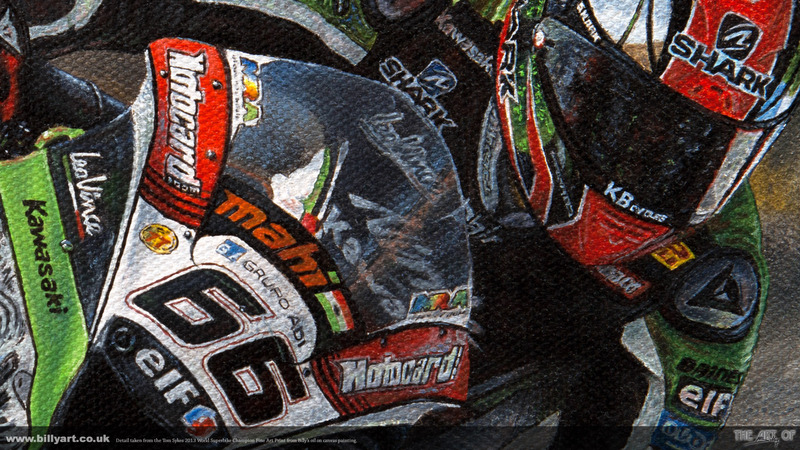 Painting the Tom Sykes art. *The fine art print of Tom Sykes has free UK Post and Packing. International orders have an additional cost as I will use Royal Mail 'Airsure' or 'International Signed For' to ship them. Simply use the drop down button by the BUY NOW to select the size print you require from either the UK or International prices.